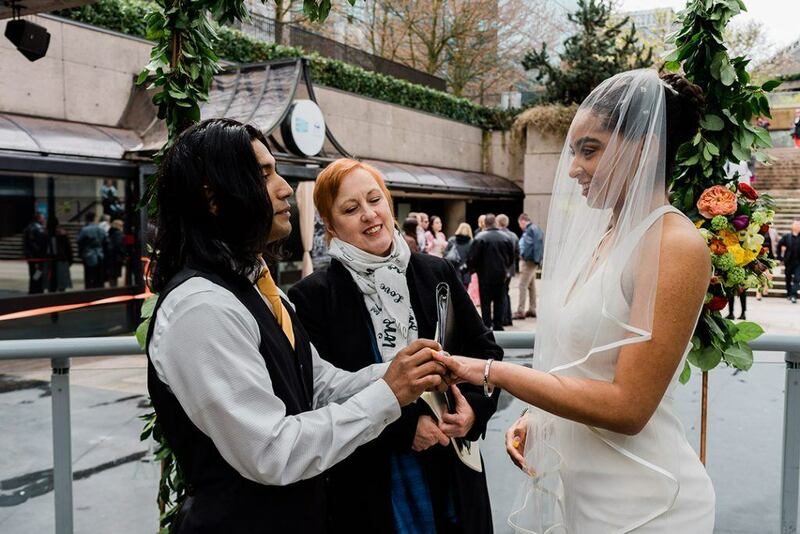 On Sunday, April 14, couples were invited to get married for free at the fifth and final Love In the Square, hosted by Pop Up Weddings. 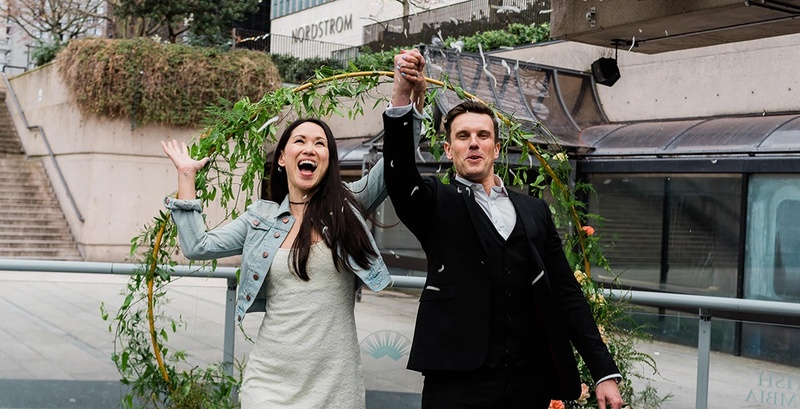 From 11 am to 3 pm, Robson Square was transformed with wedding arches and flowers, along with a number of photographers available to capture the special day. 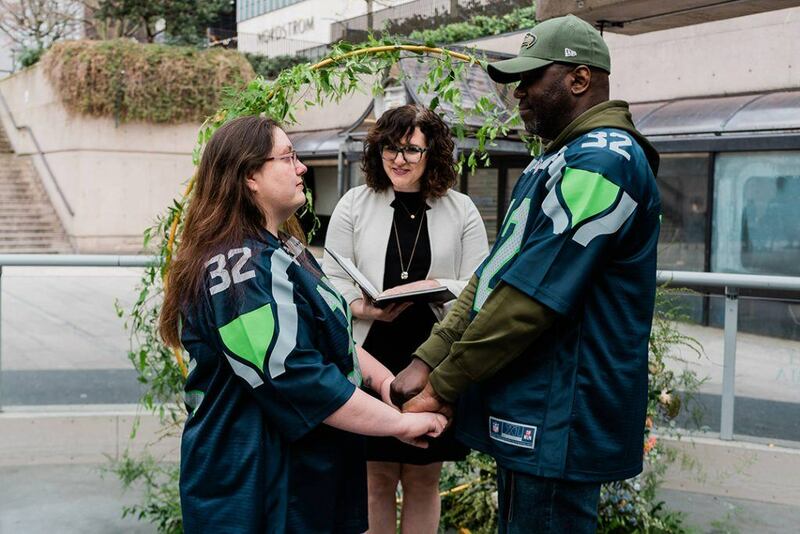 All couples needed to bring were a properly filled-out marriage license and a $20 registration fee — as well as some guests and witnesses if they wished. 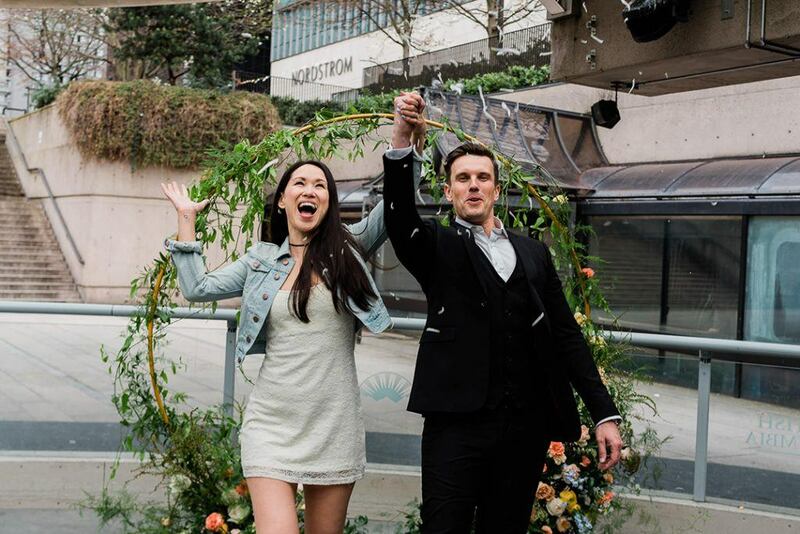 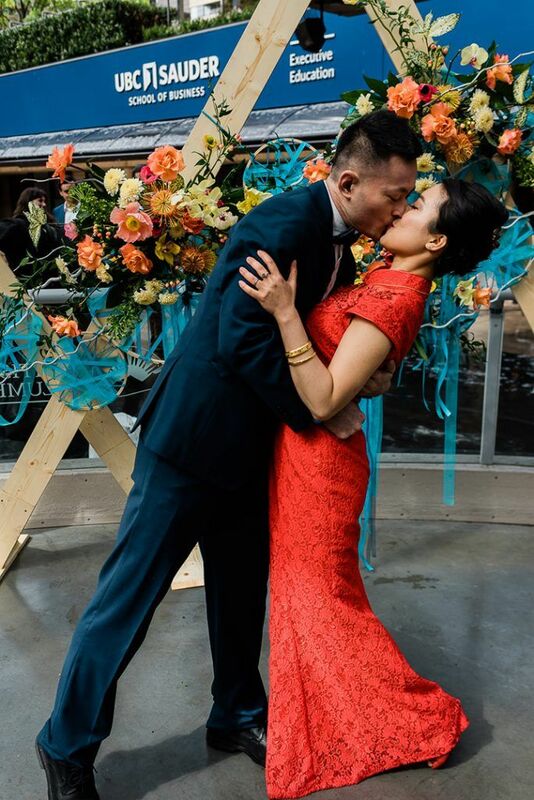 Nicole Vaneslow, co-owner of Pop Up Weddings, has yet to share a final tally of participants, but last year’s event saw 150 couples tie the knot and $4,000 donated to the Vancouver Food Bank. 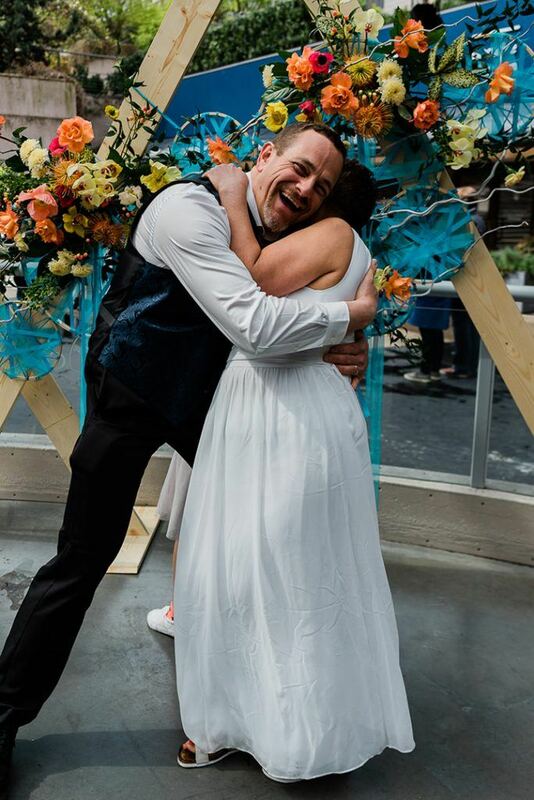 Here are some of the best photos from this year’s event.